Do you love working with Unity? Are mobile games just as cool as console games? Does working with extremely popular TV brands sound exciting? Then you’re a Good Catch! Would you like to join us? Our Senior Developers are talented sources of expertise for the entire development team who work across the entire codebase of the game. You need to have at least 5 years of experience developing 2D and 3D games for mobiles, and be able to demonstrate exceptional knowledge of Unity and how to get the best out of it for very different game genres. You should have passion for game architecture and crafting reusable code and systems. It will be your responsibility to ensure the accuracy of project estimates and drive the development of our games, mentoring and leading the other developers in the team by example. Our new game needs a developer! If you have at least 1 year of commercial experience developing 2D and 3D games for mobile platforms using Unity with C#, you might be the one! You will be responsible for working across the game logic, covering multiple areas such as gameplay, UI, physics and AI and some 3rd party services and SDKs. Working for Good Catch will give you the opportunity to grow with us and broaden your skill set with experienced individuals and their mentorship. 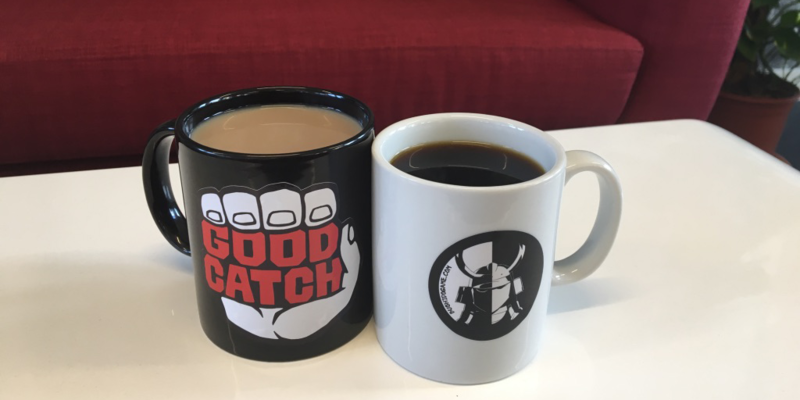 What’s it like working at Good Catch? You’ll be joining a team of about 30 people, all talented and creative individuals with a passion for gaming. We work Agile across all our projects, which ensure everything is well organised and everyone goes home on time. We appreciate a healthy work – life balance so we work hard to avoid overtime. We’re also introducing flexible working hours, a programme which allows you start work between 8.00 and 9.30am and leave accordingly each day. Besides work, we also like to play. During lunch we’re currently playing Overwatch and Hearthstone. We have weekly board game evenings and guitar lessons organised by the team and once a month there are free drinks on Friday to celebrate payday. If you’d like to apply for one of the roles above, send your CV to info@goodcatchgames.com, with a cover letter, and we’ll be in touch very soon. If you’re looking for another position, check out our careers page where we post new job openings regularly or follow us on Twitter to be the first to hear about new opportunities.